December 26, 1980 we bought our new 1980 Triumph Spider from Courtesy Imports in Lenexa, Kansas. Today we have a little over 49,000 miles on it and a host of memories driving it. The TR7 Spider was a limited production for the North American market, as they only made 1,070 Carbureted Spiders (VIN TPVD8AA). Ours was the 103rd Spider built. 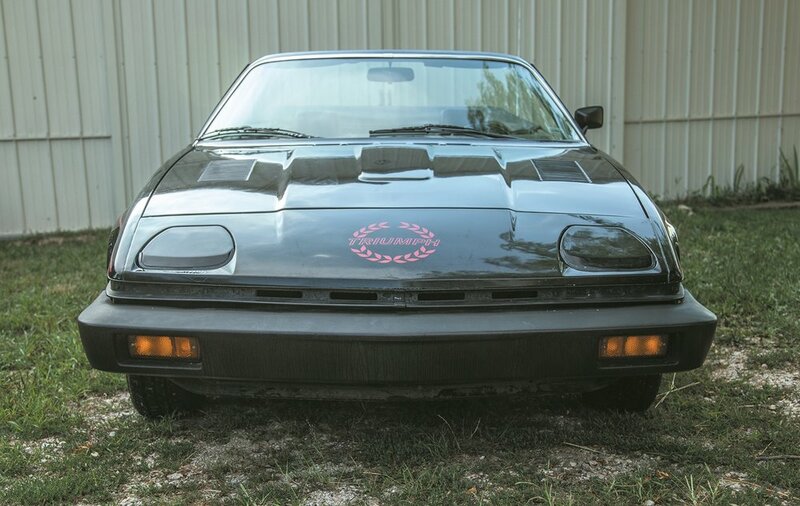 The Triumph TR7 Spider Special Edition was characterized by black paint (documented as both black and maraschino), red Spider decals, cast alloy wheels, black door trim, grey striped seats, leather steering wheel, 5-speed manual transmission and a radio/cassette player (though this was not fitted by the factory). Contrary to other sources, all the Spider accessory/package items were factory installed. The radio/cassette player was shipped in the boot of the vehicle and installed at the port of entry. In 1981, Robin and David were carefree professionals enjoying life in their TR, woo-hoo! Robin drove it to work every day. We even took it to Grand Lake, Colorado, to visit the in-laws, driving over Trail Ridge and through Rocky Mountain National Park. What a beautiful trip that was with the top down! Over the years, we performed normal maintenance (clutch, brakes, etc). We did have to replace the transmission at one point; not sure what happened there! Then came the first child, and Robin took him everywhere in it. Then came the second child and horses. 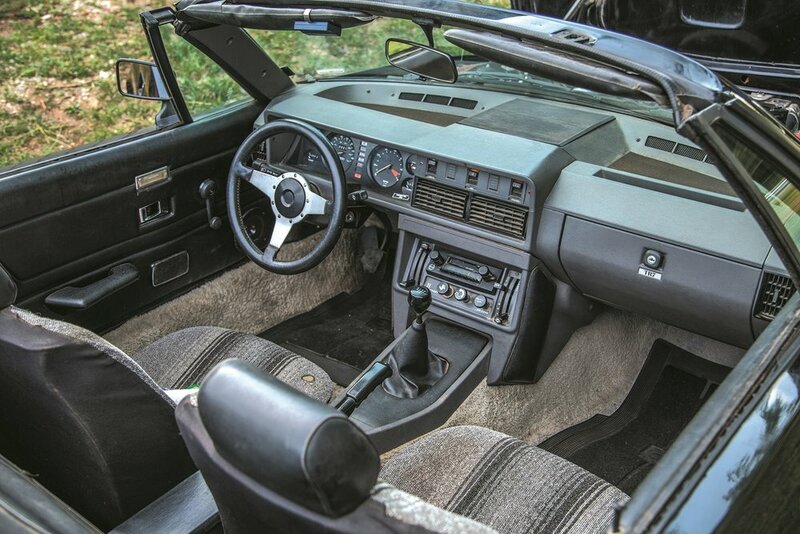 The TR7 went into storage at our house! This year, the children are gone and it’s time for fun again! Recently we worked at bringing it out of storage (after 10+ years) and added new tires, water pump, plugs, filters, brakes and oil. Planned updates: buffing out the paint in spots, carpet shampoo, door waist seal, some boot cover snaps and a possible retrofit of the AC system. Victoria British, here I come!